The Catherine Wheel is quaint pub situated on Henley Road. 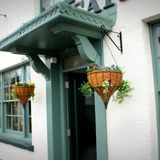 Their traditional menu is loaded full of freshly cooked dishes and includes a classic carvery and to quench your thirst there are plenty of drinks to choose from. 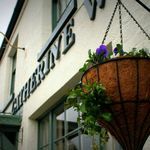 "The Catherine Wheel is a country pub located in the beautiful village of Sandford-on-Thames and is a great place to meet friends or just have a quiet drink. 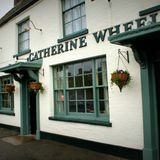 The Catherine Wheel is now under new management as Barry & Barbara King have decided to take their long awaited retirement and hand over the reigns to Billy & Emma Fox. Billy & Emma have some great ideas for the pub to include a new range of alcoholic beverages with a selection of real ales and wines. A meat raffle to take place every Sunday lunchtime, regular live music and quiz nights, all this and more will take place in a newly decorated lounge bar. The Catherine Wheel will also be hosting the Sandford Talking Shop from Saturday 12th April while the Sandford Village Hall is being redeveloped so if you prefer not to partake in an alcoholic beverage why not pop along one Saturday morning for a bacon bap and a mug of tea. We look forward to meeting you." Regular pub games take place here at the Catherine Wheel including darts, Aunt Sally, Crib and pool. We're always looking for fresh faces to join our teams so please mention your interest at the bar. Beer garden over looking pretty fields. What did you think of Catherine Wheel? You can get a decent meal in here without spending a fortune, to be honest they could charge more because it is quite good quality.